Made of solid, American hardwood. Use it to mash and crush citrus fruits, herbs and spices; use it for making drinks such as mojitos, mint juleps and caipirinhas. It’s a barware essential! Keep cool with this tropical, muddled Caipirinhas cocktail featuring the Brazilian favorite Cachaça liquor! 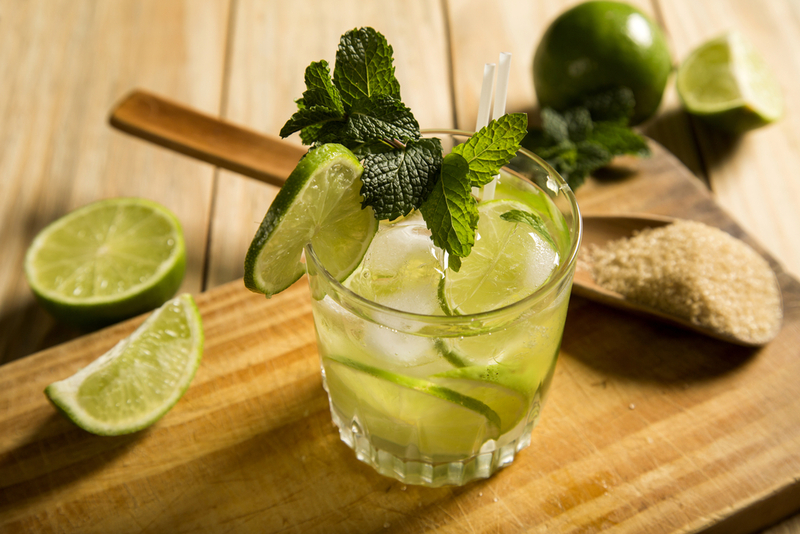 The Caipirinhas is a traditional Brazilian drink made from limes, sugar and of course, Cachaça, which is made from fermented sugarcane juice. Cachaça is one of the most popular alcoholic beverages in Brazil, but to the rest of the world it’s known for it’s use in the Caipirinhas tropical drink, which we’ll be making here today. To make this recipe, we recommend our Made in Maine USA Cocktail Muddler. You can click here to view our muddler and see what makes it so awesome! Cut lime into quarters and place 4 pieces into each glass. Add 1 tablespoon of sugar to each glass. Muddle the limes until the juice dissolves the sugar, then add ice and 1 1/2 oz cachaça to each glass.